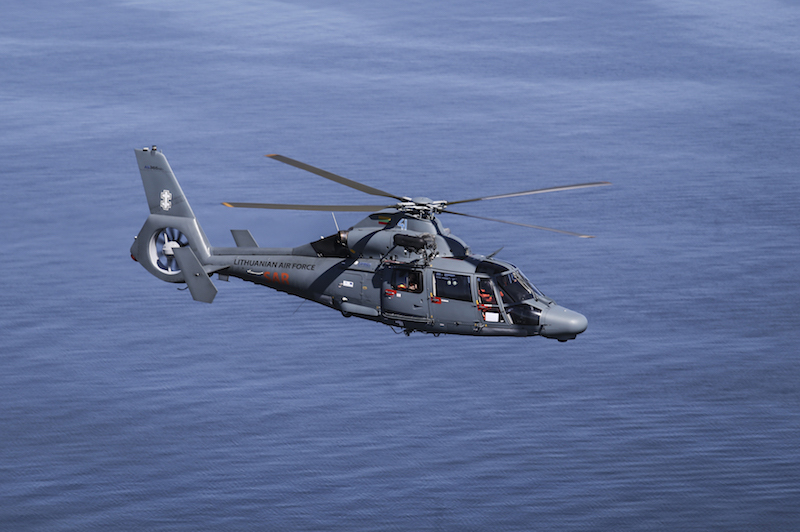 MARIGNANE, France --- The Lithuanian Air Force (LAF) has renewed its HCare Infinite material management contract for its fleet of three Dauphin AS365 N3+ search and rescue (SAR) helicopters following achievement of 97% average fleet availability over a three-year period. These helicopters entered service performing SAR missions in 2015 with a three-year full warranty and Airbus’ commitment to maintaining at least an 80% fleet availability rate. Lithuania was one of the first customers to choose HCare Infinite, Airbus’ most comprehensive level of HCare material management services. The terms require Airbus Helicopters to guarantee the operational availability of LAF’s Dauphin fleet, including technical support and supply of spare parts, tools and consumables. Through the contract, LAF has direct access to Airbus Helicopters’ parts inventory in Šiauliai, Lithuania, as well as the Airbus parts-by-the-hour pool – a dedicated high-availability pool located in Les Florides, Marignane, France. In addition, a dedicated technical representative is embedded on LAF premises working closely with the Airbus Customer Support Manager in Marignane. Aircraft performance is measured on a daily basis. Airbus Helicopters’ range of HCare material management services starts out with Easy (on-request catalogue services) and Smart (four by-the-hour options), and progressively builds up to Infinite (full availability commitments). LAF’s renewed contract is for a second term of three years. Today, seven customers with an aggregated 100+ machines have opted for HCare Infinite. Their helicopters include H135s, H145s, Dauphins and Super Pumas, performing a wide variety of missions: SAR, law enforcement, training and military. They operate in the Middle East, Europe, South America, and Asia Pacific, including the Japan Maritime Self-Defence Force, which launched its agreement in 2016.